"My father had a big vision and a big heart," his son Steven Joyce said in the statement. "Through hard work, determination and drive, he built one of the most successful restaurant chains in Canada. Ron Joyce was born and raised in Tatamagouche, N.S. His mother, who was widowed at the age of 23, raised Joyce and his two siblings in a home that had no water, no electricity and was heated with a wood-burning stove in the kitchen. The only bathroom, Joyce told a CBC interviewer in 2006, was "a nice wooden one outside." 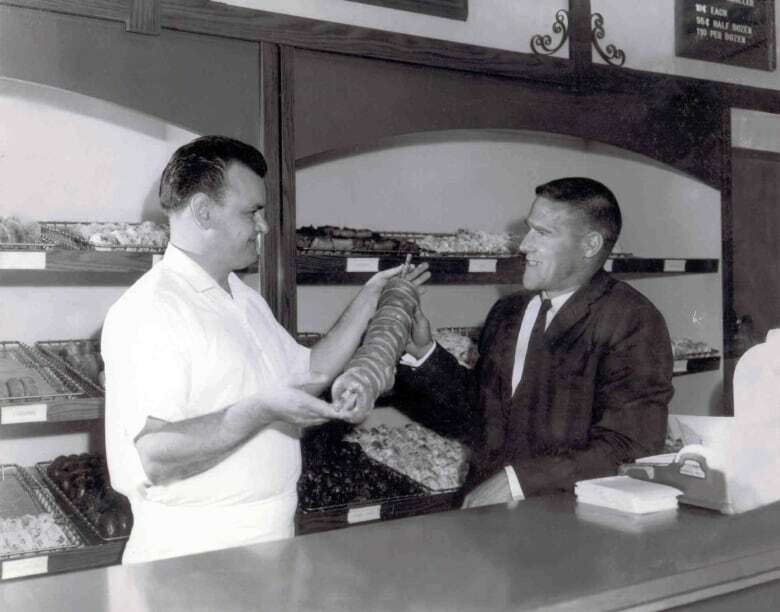 Joyce said he knew "zero" about making doughnuts when he went in for his first shift. "But by golly, I borrowed $10,000 from the credit union, and I had to learn in a hurry," he said in the interview. Robert Thompson, who co-authored Joyce's autobiography, Always Fresh, called him "an icon of Canadian business." "We probably won't see that kind of invention — somebody just create something that has such broad appeal across Canada that's so instantaneously relatable to the Canadian experience. We just don't see that now, and we probably won't see it again. And so in that regard, he's a legend." Following Horton's death, Joyce started the Tim Hortons Children's Foundation in his memory to send children from low-income families to summer camp. One day a year, 100 per cent of proceeds from coffee sales at Tim Hortons locations goes to funding the seven camps, which include one in the United States and one in Joyce's hometown of Tatamagouche. 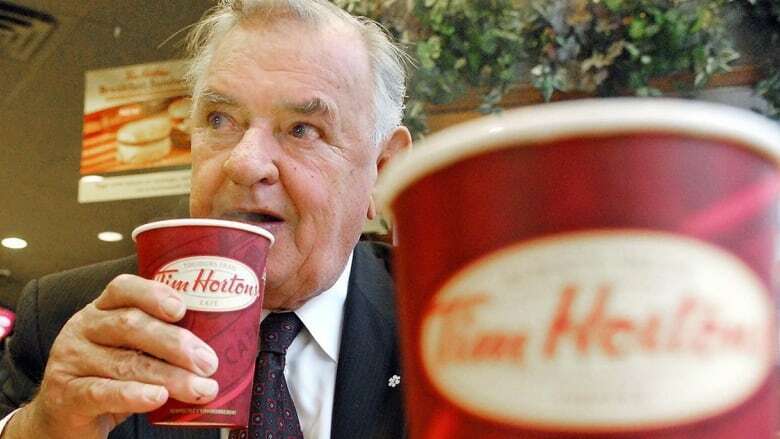 "In his journey with Tim Hortons, he travelled all over the country and considered himself Canadian above all else," his son said in the statement Friday. "He never forgot his humble beginnings, with The Joyce Family Foundation donating extensively to support those who are less fortunate, especially children and youth." Jennifer Gillivan, president and CEO of IWK Foundation, said Joyce was one of the largest donors to the Halifax-based children's hospital, providing money for a rehabilitation centre and operating suites. He also hosted charity golf tournaments and auctions at his resort on Nova Scotia's north shore. "He saw a child being wheeled in to be operated on, and it just touched his heart, and he actually said, 'I'll double it.'" "He did the double-double of all time. He gave us $2 million in that particular donation," Gillivan said. "He was a guy who never forgot where he came from." "It's amazing how much of an effect you can have on someone's life without knowing them personally." In 1996, Joyce sold the business to Wendy's International in a deal worth $400 million. 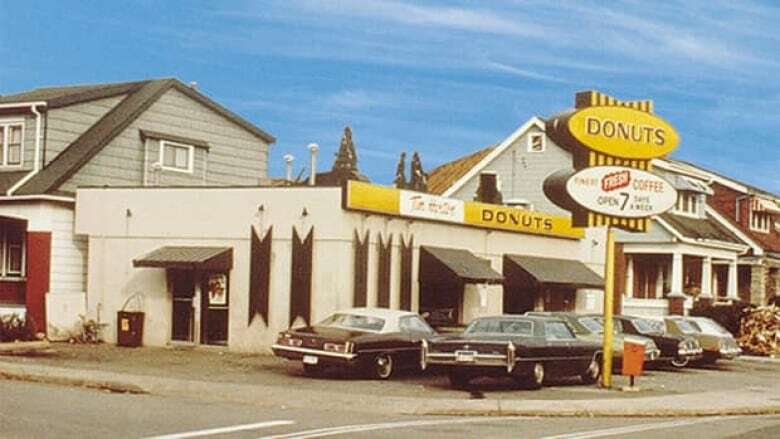 In 2014, Tim Hortons was bought by another U.S. fast food giant, Burger King, for $12 billion. Joyce has also donated to several Canadian universities and has been awarded honorary degrees from universities including McMaster, Queen's, Mount Allison, Saint Mary's, Cape Breton, Calgary and the University of New Brunswick. "Whatever you can, help," he said. "Giving can be many things. It can be money or just of your time, but all of it is very worthwhile, in my opinion." In 2007, he was in a plane crash on the runway of the Fox Harb'r Resort when the private plane he was travelling aboard encountered strong winds as it tried to land. Joyce owned the golf resort and gated community in northern Nova Scotia.